Dienstagsfilm – Within this category we would like to recommend one movie a week to you, one movie that we consider special and inspiring, one movie that we think you might enjoy to watch on a cosy evening in front of your DVD player. Where to go from here? As I would like to keep a certain flow, a certain connectedness between the single entries of this column, and as we are leaving the Middle East for now, I guess it is only logical to keep the theme of last weeks entry: a more or less tragic love story between two men. Let’s see what we can spot in differences and similarities when we travel from an ultra-orthodox community in Israel to a sometimes similar orthodox community: a bavarian sports club, a rowing club to be precise. 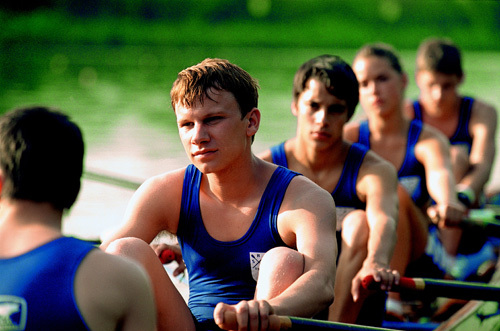 And let’s watch Summerstorm (Sommersturm) a german movie dating back to 2004 about the coming of age and coming out of two boys set in the context of a rowing competition. Its main characters are Achim and Tobi, two members of a bavarian rowing team that is attending a training camp during some hot and sunny summerdays. The film introduces them as best buddies, sharing literally everything up to that point. Be it pranks and the follwing punishment at the boathouse, be it success with the rowing team or be it their first experiences with girls… during this summer and movie they are going to discover that they might not be willing or able to keep on sharing everything as they did. As it turns out there is more to bother about than the two boys girlfriends or the fact that their competing team at the camp is entirly queer, the thing that is going to bother both of them most, is their own relationship to each other, as they slowly realize that Tobi got feelings for Achim. If oppression was the key word when describing Eyes Wide Open, the key word for describing Summerstorm would be liberation. While there clearly are moments in this movie too where homosexuality gets stigmatized, the bigger obstacles to its characters lie in the freedom of choice the fact that they are coming of age offers to them and the general lack of orientation this brings. The topic of Summerstorm are less the restrictions society imposes upon peoples sexuality but the problems they themselves might have to define it. Due to this and its more comic setting Summerstorm stays on the brighter side of the problematic Eyes Wide Shut discussed without denying or playing it down. It therefore is clearly a movie you should see and why not on a warm and cosy summernight? On a side note: Does anybody feel excluded by the change from German to English? Or offended by my reckless missuse of their mothertongue? Do you like my recommondations or don’t you care and all this is just a personal diary? In short: Do you like it or not? 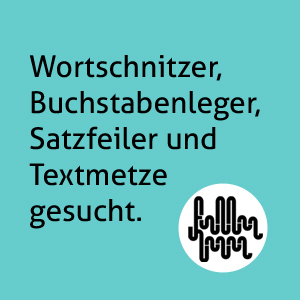 Von Mario Wimmer am 17. June 2010 um 16:41 Uhr geschrieben und unter hinweisend, flimmernsehen, dienstagsfilm abgelegt. Dienstagsfilm – Milk-fallen/legen Am 29. June 2010 um 00:34 Uhr.